Who Could Play Vimes in a Movie? Discussion in 'THE WATCH BOOKS' started by ArthurDent, Aug 20, 2005.
watch the series "House"- Hugh Laurie being cynical and smarter than everyone else. With a convincing US accent, which is just odd. Katcal I Aten't French ! for a better pic see the cover of thud! Great quote from the show though: "It's been over an hour since we've poked the patient with something sharp, so give him a lombard puncture." He is not the right person for Vimes at all, however he was in a play a few years back and I remember thinking how perfect he would be for Greebo (as a man). He has that cat-like spitefulness! Well he could play him in that one where the witches go to Genua. . . Witches Abroad I think it is. P.S. Sorry to digress so much from the Vimes poll!! I'm a huge House fan, I've seen almost every episode. Vimes is my favorite Discworld character. What a great combination. I must admit, even dubbed into French, House is awesome... I am converted to the Hugh for Vimes cult ! In Where's my cow Vimes resembles no one so much as a middle-aged Dirk Bogarde. Guess I'm showing my age. But then, I am as old as Vimes. I saw a House episode the other night, and that is a flawless American accent House has. Perfect Chicago with a 1% Brooklyn whine. I think Sean Bean out of the four, but he's not as subtle as Vimes, so he wouldn't be my ideal choice. Never heard of any of those actors. Maybee it's because i am just an ignorant american. *if this wasn't a word before, it is now. edit: to put something in the correct spot. Well I saw Hugh (my real name is Hugh also, by the by) as a guest on an American talk show a few months back, and was astounded to hear him talk like a London theatre bloke. House is an uneven show because Hugh just mops the floor with anyone who has the courage to be in a scene with him. I thought he looked like Pete Postlethwaite in the book. Picture link if you don't know the name. He does, but not quite as homely. What do you do if you can't even mentally pronounce the name ? Say the first syllable and mumble the rest. No, I think that in Where's my cow - Vimes looks more like Pete Postlethwaite ! Nobby would be Tim Roth. Angua - hmm, don't have any ideas there...maybe supergirl (whoever she was)? Cheery - Suzan Sarandon with a beard? If I were seriously casting "Vimes" I'd take a good look at Craig Ferguson. He has a late night talk show in the USA. He was Drew Carey's boss on the Drew Carey Show. A scots talk show host in America? He's a gifted comic actor. Nobby has gotta be Steve Buscemi c'mon look at him am I right ?! Vimes ,I 'm thinking Hugh Laurie is the one,however seeing Mr Litle out of Stuart little is winding me up a bit. LOL What does everyone think of Uma Thurman as Magrat? What does everyone think of Uma Thurman as Magrat? In the words of Detritus "U must B kiddin"
I always thought the girl who played alice the verger in the vicar of dibley was a perfect magrat, sorry I can't remember her name. I also thought Miriam Margoyles or Dawn french to play Nanny Ogg. Emma Chambers - yes - could be a possibility for Magrat. I can't see Dawn French as Nanny Ogg - still too young and pretty - Miriam Margolyes (Note Spelling! ) could be good in that part. 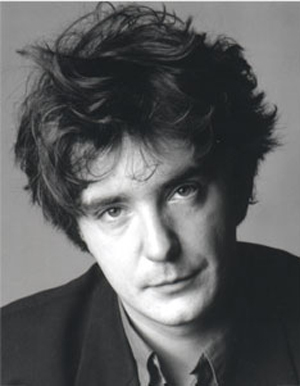 I've always seen Dylan Moran as a perfect Vimes. 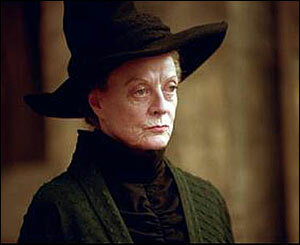 Dame Maggie Smith- Granny Weatherwax. Hmmm... I'm having trouble with Hugh Laurie as Vimes. Sean Bean is still top of my list. Pete Postlethwaite is an interesting one, because that - apparently - is how Terry sees him (rather than Paul Kidby's Clint Eastwood-ish version), but he isn't at all how I seem Vimes. Patsy Byrne (Nursie in Blackadder II) or Liz Smith (all sorts, but most recently Gran in The Royle Family) for Nanny Ogg. Of all the suggestions for Vimes I've read here, as far as appearance is concerned, Sean Pertwee gets my vote (he played Hugh Beringar in the first tv recordings of the Brother Cadfael books). Hugh Grant is far too pretty, and Hugh Laurie too hilarious! Has anyone suggested Alan Rickman for Vimes? He has a wider range than Snape (e.g. his rôle in Sense & Sensibility). How about Sir David Jason as Sam Vimes? (Maybe he would have to be a little younger). How old is Vimes supposed to be anyhoo?? Rincewind screamed, and it ran and hid behind a rock. Vimes is supposed to be somewhere in his forties or early fifties. I really don't think David Jason has the right physique for Vimes, before we get to anything else. Vimes is supposed to be mostly made out of sinews. You can imagine David Jason eyeballin' Vetinari though can't you. Go on, admit it, you CAN can't you??? Also someone said "Sean Pertwee" as Vimes. Hmmm- I kinda like this idea, just trying to imagine him married to Lady Sybil. Isn't she supposed to be a bit of a Laaarge Maaarge? Bill Nighy as Lord Vetinari, then? Whoops, should that be a new thread? "In the land of the blind, the one eyed man is King"
When Pterry said he imagined Rickman as Vetinari, he actually referred to him as the guy who played Hans Gruber in Die Hard. Rickman's face has fallen a bit since then! Oh, right. I must say that if he had been referring to Rickman's part in Galaxy quest, I would have been rather more concerned. But yes, age is no-one's friend. Except Sean Connery. Damn him. I reckon Sean Bean. Who'd play Sgt. Colon & Cpl Nobbs? I SOO thought Postlethwaite too!! Well I think to play vimes, it would have to be one of two people. My best mate and I talk of discworld casting a lot, and for Vimes we came up with Sean Bean as mentioned earlier, someone said too blond, but he is older now, and there is such a thing as dye, or, and this is gonna be controversial, Bruce Willis. He has the right sort of look about him, the slight rebel streak, and you can see him not being happy with putting on tights or wearing feathers in his hat. I love Bruce Willis. He can play any DW character he likes, as far as I'm concerned - Vimes, Death, Nanny Ogg, whoever! I think Sean Bean might be all right. But Knobby --umm they guy who played him in HogFater was okay but I really tend to picture him a bit more like the Danny DeVito from the old days when he was in "Taxi" Short -scruffy-a little off color on his humor, and a little off on his comedic timing. Definately Not a Man you dould take home to Mama. Definately Not a Man you dould take home to Mama. For Nobby, I definatly think Mackenzie Crook would work. For those who don't know 'Gareth' from the uk series of "The Office" the blonde curtained, nerdy one. Also, Fred Colon would have been a great role for Sid James, may he rest in peace, don't you think?? Mackenzie Crook may be too small. And Sid James isn't fat enough. Colon's supposed to be very rotund i believe. What about John Savident, "fred" from coronation street or is he too old? Well, he is a kid at the time of "Nightwatch", so he about a decade younger than young Vimes, not much more. That would put him where? By now? Early fourties?